While Unión MicroFinanza now offers various programs, including training and community development, the organization began with a microloan program for small-scale farmers. Overseeing this program in La Unión is José Martir Alvarado. Martir has been working with microloans for UMF for five years, and has been leading the program for four. Martir leads a microloan meeting in the village of Nueva Paz. Twice a year, Martir prepares for microloan distribution by putting a price on dozens of products, receiving hundreds of farmer microloan applications, entering the information into our databases, and managing the microloan distribution. Besides tracking the amount of fertilizer and agricultural tools each farmer receives in the form of a microloan, Martir holds microloan group meetings in the villages where interest and capital is paid on loans. Each microloan group meets every 15 days; a member of UMF leads the meetings not only to collect interest, but also to hear about how the farmers and their harvests are doing. After meetings, Martir spends time in the office entering all the payment information for each farmer in a computer to keep track of each loan’s interest and capital. But, apart from working on the finances and numbers, Martir builds confidence and relationships with farmers during the microloan meetings. During discussions at meetings, Martir learns how farmers’ families and farms have been since he last saw them, and he offers advice or resources. 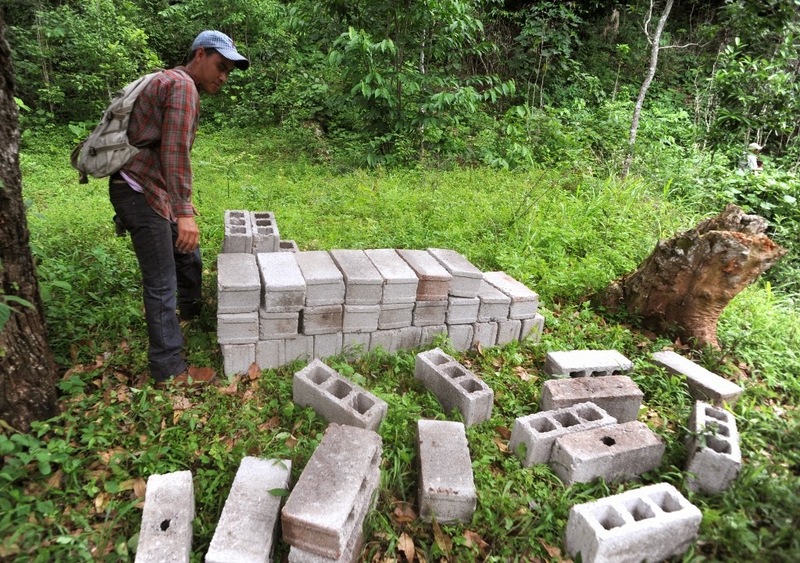 Martir also leads the engineering designs for our community development projects. He uses whatever resources or tools are available to make any needed improvements for anything from community projects to the UMF beneficio to our office. If Martir is presented with a challenge, he immediately takes on the challenge and begins to work on it, often not stopping until he has found a solution. Martir, who was born and grew up in La Unión, cultivates fruit trees and owns a small coffee farm. He and his wife have four children, three of whom attend the bilingual school in town. He hopes that his youngest son, who is now in the public kindergarten, will also be able to learn English at the same school as his siblings. Your support to Unión MicroFinanza helps support our employees (like Martir!) and their families. With a sustainable income, they are able to invest in their children’s education, their homes and their family farms. A monthly donation helps our organization provide this sustainable income – sign up to become a monthly donor on our website! Thank you! 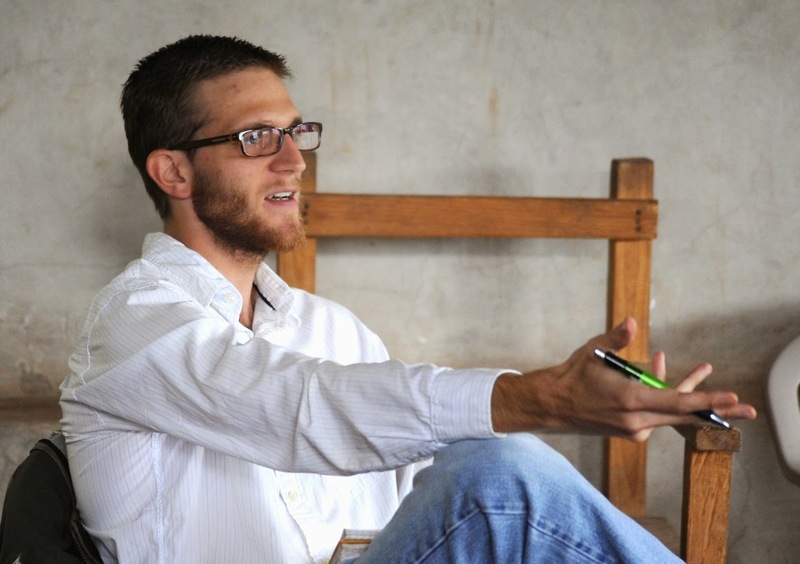 From daily management of programs in Honduras to general oversight of the organization, Patrick Hughes is involved in each of Unión MicroFinanza’s programs. As president of the organization, Patrick oversees accounting, community partnership projects, microloans and trainings. But he also looks toward the future of the organization through visioning, brainstorming and researching new initiatives, and building partnerships in Honduras and in the U.S.
Patrick, one of the founders of UMF, has been living and working in La Unión for 4 1/2 years. He has seen the organization grow in number of employees, programs, and communities served. Many people in town know Patrick and his love for good coffee (without milk or sugar). And many know about the various ways that UMF has worked alongside farmers in La Unión. When Patrick isn’t working in the UMF office, he can most likely be found helping out (or having a coffee) at La Unión’s café, CafeZAZZO, or working on the coffee field that he co-owns, called Finca El Gringacho. He also likes reading about the latest developments in the world of specialty coffee, and he’s interested in starting rock climbing. During Patrick’s first year working with UMF (in 2010) employees of the brand-new non-profit made $100 per month. Their salaries reached Honduran minimum wage during the organization’s second year, where they remain at about $350 per month. As he continues to lead and envision growth for UMF, Patrick in particular wants to see UMF’s employees receive a salary that allows them to stay long-term with the organization and provide a sustainable income for their families. “Unión MicroFinanza is its employees. Without our amazing staff, none of the work that we envision and do would be possible. Every employee has made great sacrifices because they believe in supporting the people of La Unión, but they should not have to sacrifice a living wage,” Patrick said. The generous support from partners like you contributes to the well-being of each UMF employee. Visit our website to learn more about becoming a donor. Thank you – you are making a difference in our lives and in the lives of the people of Honduras! In Honduras, and especially in rural La Unión, the agriculture industry sustains the population with crops for personal consumption and to sell for income. Nearly everyone in La Unión and the surrounding villages (aldeas) is connected in some way to the main crops here: coffee, corn and beans. Unfortunately, agriculture is not always a sure source of income for a family: crop yields can be hurt by bad weather and disease. While these problems cannot be prevented completely, their effects can be mitigated through agricultural knowledge and training on various methods of field management. This training not only helps prevent diseases, but also helps farmers improve their harvests and better manage the income they receive from their fields. help them improve their harvests. This is where Gilberto comes in. Gilberto Barrientos Hernández has been a field manager at Unión MicroFinanza for the past 5 years, guiding farmers in improving their crop quality and harvest, and leading agricultural training programs such as the Coffee Farmer School (read more about Coffee Farmer School in our newsletter). As a La Unión native who has been working in agriculture since early childhood, Gilberto has gained invaluable knowledge and build strong relationships in the communities. He also manages his own farm and home garden in La Unión with the help of his wife and three children. Equipped with his experiences and knowledge, Gilberto travels to individual farms in the region every week to demonstrate techniques for improving the harvest. Besides working with farmers in official training sessions, Gilberto is continually questioning, learning and sharing his knowledge with others. UMF staff members look to Gilberto as the resident expert on all things plant related. He not only can identify many of the plants he encounters, he can also tell of their properties and uses. If he isn’t familiar with a certain plant, he tucks a sample into his backpack to bring home and inquire about it. Gilberto is an essential part of UMF not only for his knowledge, but also for the relationships and trust he has formed in the communities. Gilberto’s three children attend the bilingual school in La Unión, and they enjoy translating for visiting groups. They dream about receiving higher education and starting their careers, and Gilberto hopes the same for them as he works to help them fulfill these dreams. We value Gilberto and his work, and want to support him with a sustainable income so he can provide for his family’s daily necessities, for his children to receive a quality education, for improving his home, and for health care. 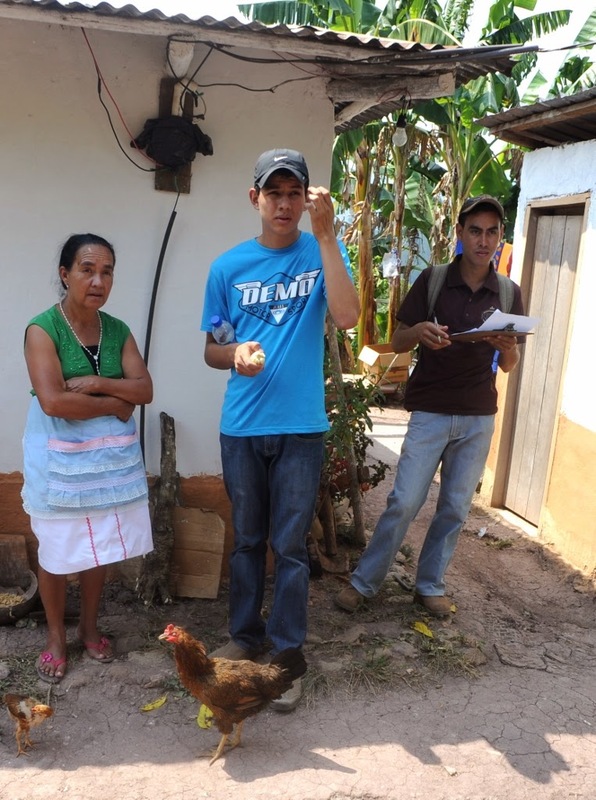 Your donations to UMF help support farmer training programs, as well as the employees like Gilberto who lead them. Find out more on our website about becoming a donor. Thank you for your partnership with Unión MicroFinanza and the people of Honduras! 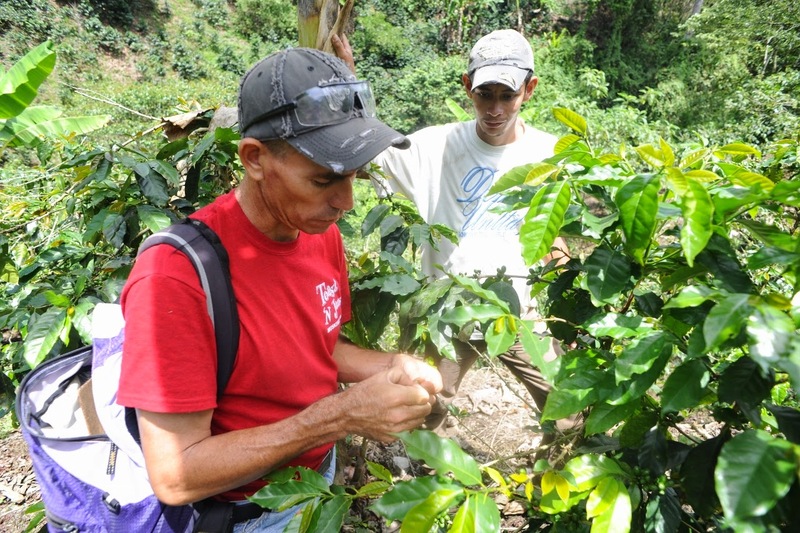 Gilberto Barrientos works with coffee farmer Francis Castillo on a field plan. Bienestar: the concept in Spanish of generally being in a good state financially, emotionally, and physically. Well-being. Over the past five years, we have been working in La Unión, Lempira, Honduras, to help farmers, their families, and the communities in which they live, achieve economic stability and well-being (bienestar, in Spanish). At Unión MicroFinanza, we want our employees to achieve the same stability and well-being! For this reason, we are excited to announce our Bienestar Recurring Donor Drive, which will be running through the month of September! What does the Bienestar Donor Drive support? This donor campaign supports our employees through salaries and health insurance, office rent and materials, and motorcycle transportation to community villages. These costs are all fundamental to the functioning of our organization; without this funding, we cannot continue all of our programs, grow the organization, or maintain stability and efficiency. In order to cover these costs, we need to raise a minimum of $4,000 per month. Visit our website to become a monthly donation partner. To stay updated on news from UMF, find us on Facebook and sign up for our monthly newsletter. Thank you! You make our work in Honduras possible! 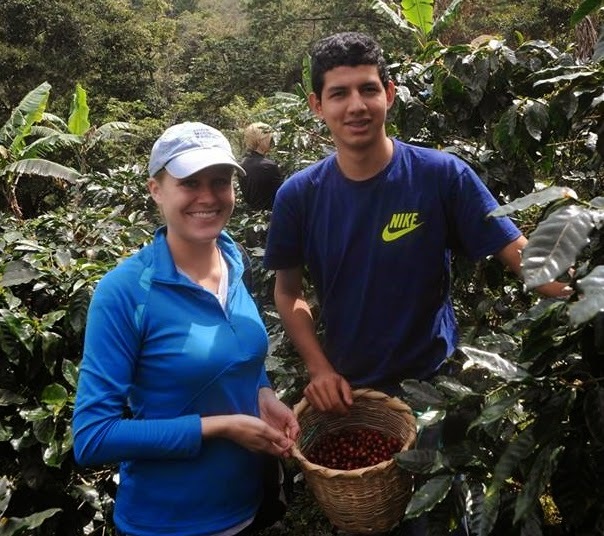 At Unión MicroFinanza in La Unión, some of the employees spend much of their time outside of the office, traveling to coffee farms and villages. And others are more often in the office, providing just as necessary support on the administration and communication sides. Two of these employees, for whom access to Internet and a quality office environment are essential, are Charlie Heins and Heather Farrell. Litos manages accounting and finances for UMF. Finance Manager Charlie Heins (who in La Unión is simply known as Litos) manages all accounting, including the bank accounts, taxes, and all spending and receipts for the organization's La Unión office. This involves everything from paying employees, to approving supplies for the office (without Litos, the motorcycle would not get filled with gas to go to the villages!) He also manages the receipt of payments made at microloan meetings, and trains the Honduran employees on using the computer to record payments and interest for microloans. During harvest season, Litos is in charge of the beneficio, on top of his usual daily responsibilities. Here, he makes sure that everything is ready for each day, coordinates employee schedules, and assures that the beneficio is a good working environment. Litos also helps make it possible for our community partners to visit La Unión and to support development projects in the villages: he receives and manages payments and costs for these trips. Basically, he makes sure that everyone gets paid who needs to be paid! Considering the nearest bank is three hours away, this takes a lot of organization and planning, and it's critical to the continuation of our community partnership projects. Besides his work with Unión MicroFinanza, Litos is known in La Unión as someone who can provide technical support for computers and cellphones, in a place where there isn’t a “Geek Squad” to call. He also enjoys playing guitar and chess with the bilingual school students. bilingual school students, who translate for groups. Heather Farrell is the media director for Unión MicroFinanza, and is in charge of communication for the organization. This involves everything from social media, to newsletters, to Skype calls and emails with community partners. If you receive the monthly newsletter, or see photos on Facebook, chances are Heather was behind it. Another big part of Heather’s job in La Unión is communication with partners, both in Honduras and in the United States. Heather works with Pedro as a link between communities in La Unión and the U.S. She and Pedro plan and manage group visits to La Unión, as well as make sure that community projects continually move forward. We put great importance on connecting communities, and communication is vital for maintaining and building relationships. Heather works to make sure that our partners receive these updates and news. In addition to working with U.S. partners, Heather stays busy in the community of La Unión and builds on local partnerships as well. She is involved in the Vida Abundante church in town, and works closely with the Vida Abundante bilingual school. She enjoys giving music and English lessons to members of the community, and hopes that what they learn will provide them with opportunities in the future. Your generous donations to the organization support community development projects, trainings and microloan programs, and they also support the people who make these happen. Find out more on our website about becoming a donor. Thank you for your partnership with Unión MicroFinanza and the people of Honduras! If La Unión had a tourism industry, its high season would be June. Many visitors, new and returning, come to town as their school year ends, but they aren’t coming as tourists. Sure, the tropical green mountains and open views of the valleys are impossible to miss on the drive into town. But most of these visitors are coming to meet new friends (and possibly visit old ones), and continue building partnerships between their respective communities. And for three interns, these relationships will be formed over their 10 weeks in Honduras. As with previous summers, Unión MicroFinanza hosts interns for the summer months to assist with and learn about community partnership projects (watch the blog to read about new projects!) and the microloan, training and coffee programs. These interns also provide the organization with valuable research on topics varying from coffee leaf rust to markets and savings. Besides this, summer interns live in the town and spend time with the people who live here. They will take these experiences and new perspectives with them as they return to their universities and friends in the States. This year, four interns are joining UMF, with one arriving later in the summer. Aidan Baldwin, Andreas Vailakis, and Marcus Warner have different areas of study and interests, which allows them to work on a variety of projects with the organization. 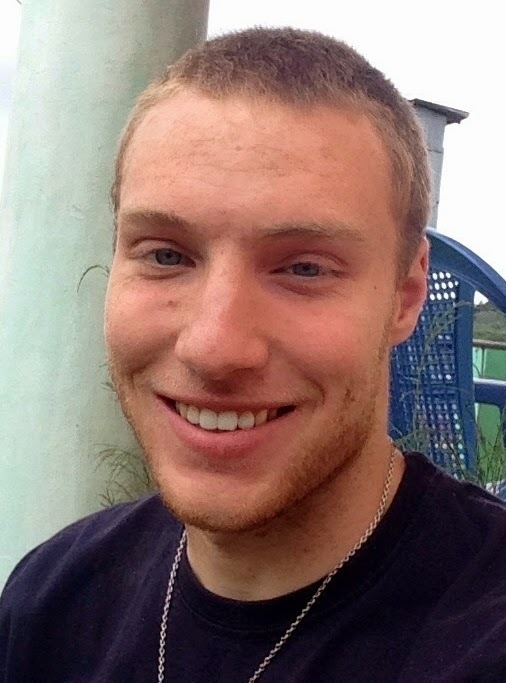 Aidan comes from the University of Notre Dame, where he is studying finance and entrepreneurship. Along with the other interns, he is helping organize and carry out distribution of June microloans. Aidan has already noted that some of the needs and resources in these communities differ from those he has visited in other developing countries. He’ll be hearing more about market access for small farmers in La Unión, and more about Aldea Coffee, which sells La Unión coffee in the U.S. Besides this, Aidan hopes to improve his Spanish, aided by the Honduran UMF staff.